The What: Crown Audio has added two models to its DriveCore Install (DCi) network series amplifier lineup. 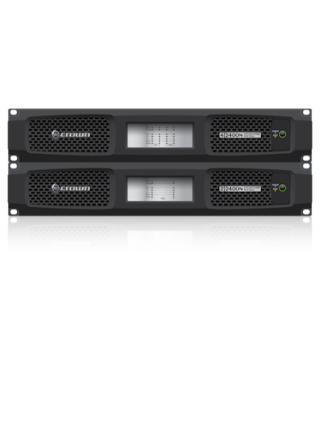 The What Else: The DCi 4|2400N, DCi 2|2400N, and DCi 2|1250N power amplifiers incorporate HARMAN’s exclusive DriveCore technology to deliver high power output from a compact, energy-efficient form factor and offer extensive networked system control capabilities. Both the DCi 4|2400N and DCi 2|2400N deliver 1900 watts into 8 ohms, 2400 watts into 4 ohms and 2100 watts into 2 ohms. In addition, the amplifiers offer direct drive “constant voltage” capabilities for 70Vrms and 100Vrms amplification without the need for a step up transformer, yielding higher audio quality and delivering their full rated power output in distributed audio applications.